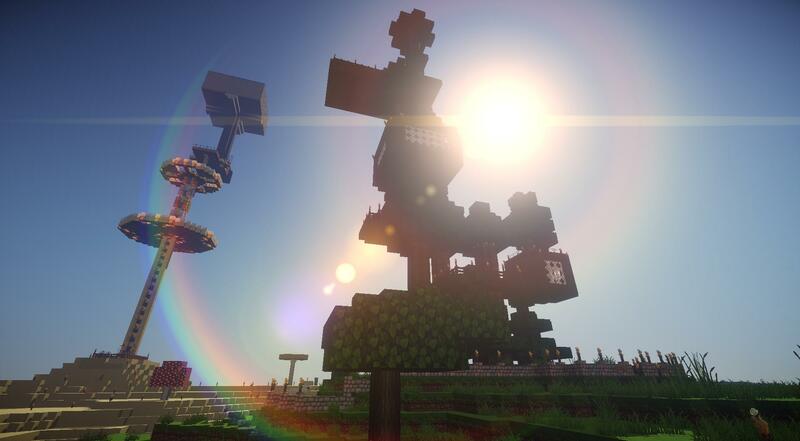 Ok so, I wanted to get a bit more out of my SEUS shader pack and then I stumbled across an 'add-on' if you will that gives you a nice Lens Flare effect from the sun. It's great for screenshots and the likes. Anyways, here's a short guide on what you need to do to achieve this effect. 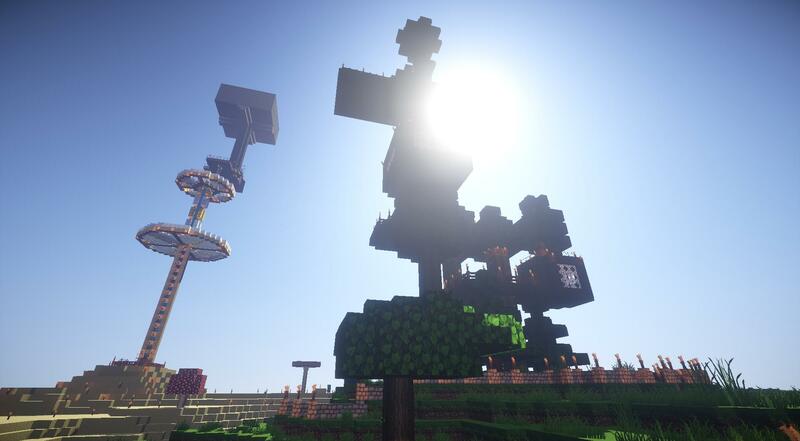 First of all, download SEUS v10.1 Preview 2 from here. Next you want to fire up an instance of NotePad ++ (Download it here if you don't have it). Copy/Paste into Line #54 (the line numbers should be on the side of the document). Once you're done there, Click File > Save and then copy/paste the final.fsh file BACK into the .zip file and overwrite the original when prompted. Then place the entire zip file (DON'T unzip it) into your .minecraft/shaderpacks folder. Open up minecraft using your Shaders profile and enable that pack using the Options > Shaders... section in the main menu when in-game. If you have done everything correctly, you should see a nice Lens Flare around the sun Congrats! Credit to Catman from the Sonic Ether forums for the coding!! Strat!!!!! That is absolutely amazing, thank you so much for sharing all of that! @Kord your buildings look amazing from down there. Woah, it looks amazing! I need cash ASAP so I can buy this game. Dang that looks sweet. I think I actually like less effects while playing but for screenshots and videos that would be awesome. Edited by MC10, 15 January 2015 - 09:42 AM. Thanks, I'm pretty stunned by how beautiful things look is looked at/screenie under the perfect conditions! It's amazing! The Walls - A Minecraft PvP Contest! Neocodex Server Status...and cries for HELP!!! Neocodex Gaming Month - Spleef Arena Combat!